What if I told you it has been scientifically confirmed that you can treat Autism Spectrum Disorders (ASD) by drinking a specific juice every day? We’re talking about solid improvement over the course of a few months, without any toxic medications or intrusive procedures whatsoever, everything in an utterly natural way. All of this is possible, thanks to a wonderful phytonutrient known as sulforaphane. Sulforaphane is a phytonutrient that’s formed in cruciferous vegetables (broccoli, cabbage, Brussels sprouts, cauliflower) only when the cells of these plants are “broken” in any way, such as when they’re cut, chewed, or processed in a juicer. When the plant cell walls are broken, two special compounds react with each other: an enzyme known as myrosinase and a substance called glucoraphanin. The reaction between them transforms glucoraphanin into sulforaphane, a phytonutrient with powerful antioxidative and anticancer properties. By the way, chemically speaking, sulforaphane is a “mustard oil” (allyl isothiocyanate in particular). This is the group of compounds that give broccoli and Brussels sprouts their unique (and somewhat bitter) taste and strong smell, which are thought to repel pests and protect these plants from diseases. Now let’s get straight to the juicy part and see what sulforaphane has to do with autism spectrum disorders. According to data from the Centers for Disease Control and Prevention, the prevalence of ASD was about 1 in 68 children in 2012, and significantly higher in 2014, just two years later: 1 in 59 children. Today, the prevalence of ASD might be much, much higher. 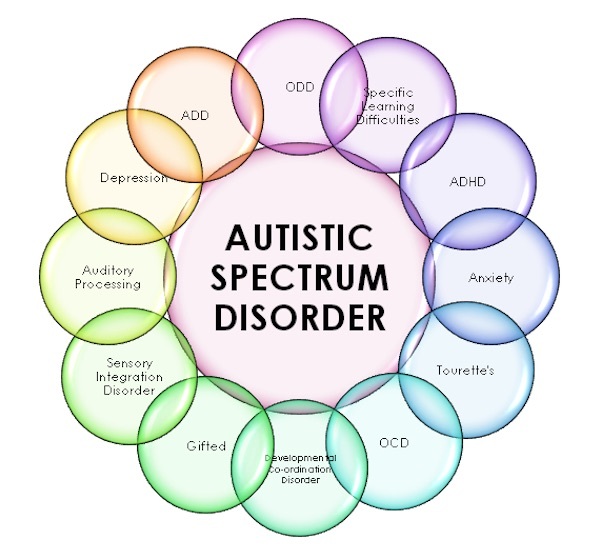 Autism spectrum disorder is characterized by significant restrictions in one’s behavior, as well as by impaired communication and social skills. Besides being a tremendous challenge for the family, ASD is also a great economic concern for the country. The worst thing is that we don’t know what exactly causes it. We have a few good guesses, though. For example, studies indicate that autism could be the result of the body’s inability to fold specific proteins from amino acids. These misfolded proteins can trigger cell death, which would have different consequences depending on the organ in question. In the heart, misfolded proteins could trigger heart disease. In the brain, they could be the very cause of autism spectrum disorder. This doesn’t come as a surprise since it has already been known for some time that chunks of misfolded proteins can become the triggers for conditions such as Alzheimer’s and Parkinson’s diseases. But don’t panic just yet: there might be a way to correct these misfolded proteins with sulforaphane. Sulforaphane for ASD: Does It Really Help? Chances are you’re already familiar with sulforaphane’s unique anti-cancer and detoxifying properties from one of our earlier articles. In this article, we’re going to focus on a whole different health issue: Autism Spectrum Disorders (ASD). correcting the misfolded proteins in the brain and significantly improving the folding of similar proteins in the future. effectively protecting the brain cells from oxidative stress, preventing their death due to damage from free radicals. 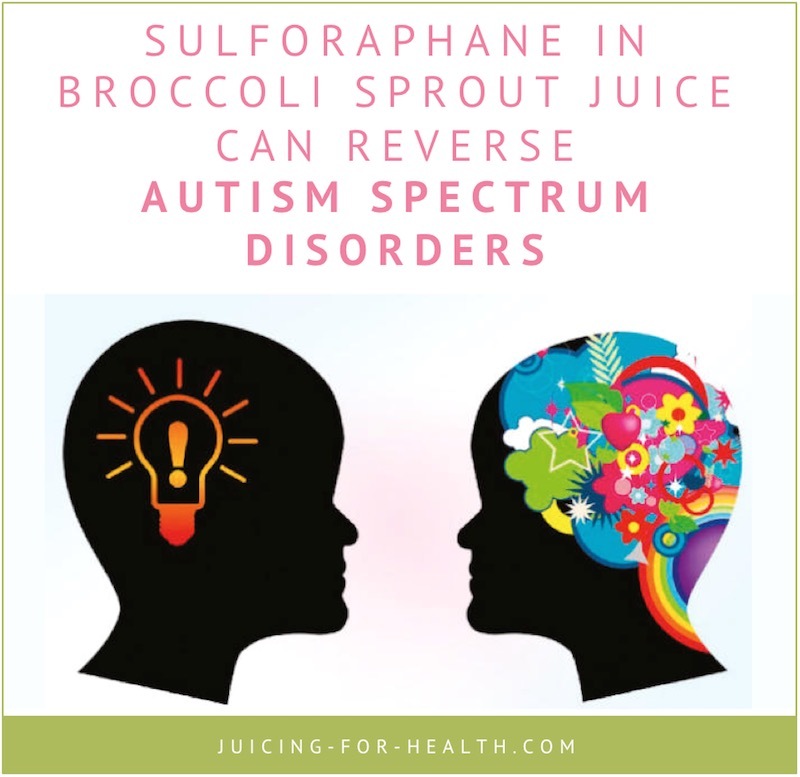 Both of these factors are thought to be major contributors to the development of ASD, so it’s no wonder why sulforaphane helps so much with this condition! For example, a study which took place in 2011 through 2013 researched whether a daily dose of sulforaphane improved autism symptoms in 29 young men aged 13-27 years after 18 weeks of supplementation. Compared to the placebo group, the boys who received sulforaphane experienced a 34% improvement in their behavior and a 17% improvement in their social skills! In 2016, the same group of scientists from the study mentioned above decided to get in touch with the families they had worked with. Who knows, maybe the sulforaphane was able to bring them long-term improvements? 5 boys have stopped taking sulforaphane because of their parent’s decision (17% from the original group). 9 boys were still taking a sulforaphane supplement with sustained improvement (31%). One boy has stopped taking sulforaphane altogether due to lasting improvements over the last years (3%) and one boy was planning to return to sulforaphane (3%). In other words, sulforaphane seems to significantly improve the symptoms of ASD in over 30% of the cases, and sometimes (3%) brings long-lasting relief even if they stopped taking it after some time! Broccoli sprouts? Yep. That’s the very best source of sulforaphane in the whole world. “I have started giving it to my sons two weeks ago and I can see amazing results. Older son’s language and understanding is getting very good, the school said it looks like a magic has happened, his language and behaviour is improving every day, when I told them about the juice they couldn’t believe it. “I give it to him before bed, and his sleep has improved. He sleeps more soundly and for longer periods. His speech has improved as well. He was already pretty verbal, but now his sentences are longer, he is using more vocabulary, he is answering questions. He’s never answered before questions such as “why are you doing that?” He answered “I don’t know” and giggled! He has always struggled with “wh” questions, and he seems to be able to answer them more frequently and appropriately. He is initiating social interaction much more with family, neighbors, kids in the neighborhood, etc. Read on to find out how you can easily achieve this amount of dosage for daily consumption. Remember this: there’s absolutely NO sulforaphane in cruciferous vegetables: there’s just glucoraphanin which is converted into sulforaphane when the plant is processed. So, the more glucoraphanin there is in a plant, the more sulforaphane it will provide when you juice it up, for example. Glucoraphanin is present in broccoli, cauliflower, mustard, Brussels sprouts, cabbage, red cabbage, and virtually all other cruciferous vegetables as well. But here’s the best part: studies indicate that 3-day old broccoli sprouts have 10 to 100 times more glucoraphanin than mature broccoli! Basically, you’ll get the same dose of glucoraphanin (and sulforaphane) from an ounce of broccoli shoots than you’d otherwise get from 1.5 pounds of the mature plant! Another great thing about broccoli sprouts is that you can either grow your own or purchase high quality sulforaphane-packed broccoli sprout juice ready to drink if you prefer convenience or don’t have the time to wait. We live in a wonderful time: each year brings new discoveries revealing the power of natural healing! After all, who would have thought some 20 years ago that you could fight cancer and reverse autism by drinking broccoli sprout juice? Of course, it’s important to be very picky in terms of the quality of the juice if you want it to really work. To make sure you’re getting enough sulforaphane, make sure to grow healthy broccoli sprouts or pick a trusted broccoli sprout juice producer who has been doing this for years! Broccoli sprouts kill cancer cells growth, heal chronic diseases, fight inflammation. Question: would consuming broccoli sprout juice over a long period of time also give positive results for ADULTS who suffer from ASD? In my case, I was diagnosed with Asperger’s Syndrome in March of 2012…when I was in my late 40’s. And with Obsessive-Compulsive Personality Disorder (OCPD) 3 1/2 years before. In America, about 40% of Asperger’s sufferers also have OCPD. Thank you for your attention and any advice you can give. God bless you and yours. Hi Roy, the sulforaphane obtained from broccoli sprout juice will be beneficial for both children and ADULTS alike. The best way to find out if it works for you is to try it out. 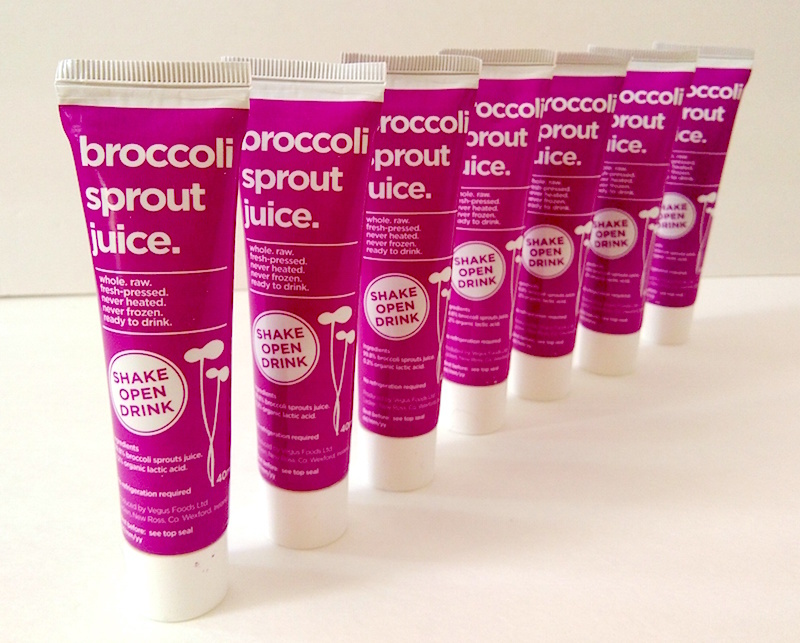 Parents have testified that their autistic children who are consuming broccoli sprouts juice are showing very good responses in a very short period of time. All the best!